Android AOSP 7.0 Nougat ROM for T Mobile LG G3 is now available through an unofficial AOSP ROM update and this is a guide which explains how to update TMobile LG G3 to Android Nougat ROM. Since the Android Nougat Source code release, till now we have many Android Nougat ROMs available for various devices and also we have CyanogenMod 14 ROM for Mi4i, probably the first CyanogenMod 14 Nougat ROM available out there. And now this time the Nougat ROM (build number: NRD90M) has arrived to T Mobile LG G3 (codename: d851) which is brought to you by developer josegalre. LG G3 TMobile (d851) Users must be thankful to the developers for their priceless efforts and lightning fast development. You can see here for Screenshots of this ROM. Installing a custom ROM on a the LG G3 T-Mobile requires the bootloader to be unlocked, which may VOID your warranty and may delete all your data. Before proceeding further you may consider backup all data on the phone. You are the only person doing changes to your phone and I cannot be held responsible for the mistakes done by you. You can also try the LG G3 CM14 (CyanogenMod 14) Nougat 7.0 ROM. 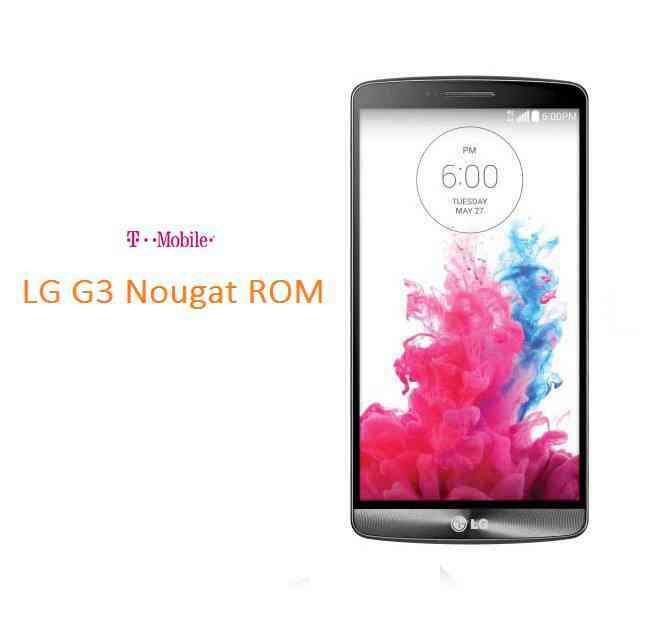 Download the T Mobile LG G3 (d851) Nougat AOSP ROM zip file and a suitable Nougat Gapps zip file from the above download link and copy both the files to phone. – Power off the phone and keep pressing key combinations: Power Button + Volume Down while turning on your T-Mobile G3 (d851). First flash the G3 TMobile Nougat ROM ZIP from device. Stay tuned or Subscribe to the T-Mobile LG G3 (d851) forum For other Android Nougat ROMs, CyanogenMod 14 ROMs, other ROMs and all other device specific topics. Here is the dev thread for LG G3 TMobile Nougat ROM.